William Robinson founded Robinsons Brewery in 1849 at the Unicorn Inn located in the town of Stockport in Manchester, England. 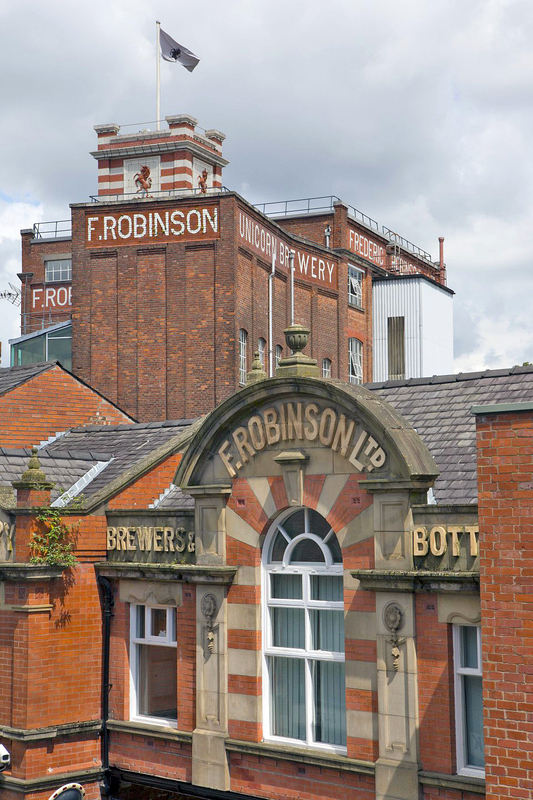 Robinsons has been “brewing perfection” since the brewery first debuted its real ale. Robinsons is one of the most advanced and sophisticated breweries in the U.K. Its talented and respected brewers apply decades of experience to create exciting new varieties of beer and fascinating flavor choices. One such example of Robinsons’ commitment to brewing innovation is the brewery’s addition of the world’s largest hopnik, a specialized brewing tool that offers full flexibility in the wort boiling process – temperature control, hop additions and adjunct addition can all be controlled with the hopnik in a fully automated way. 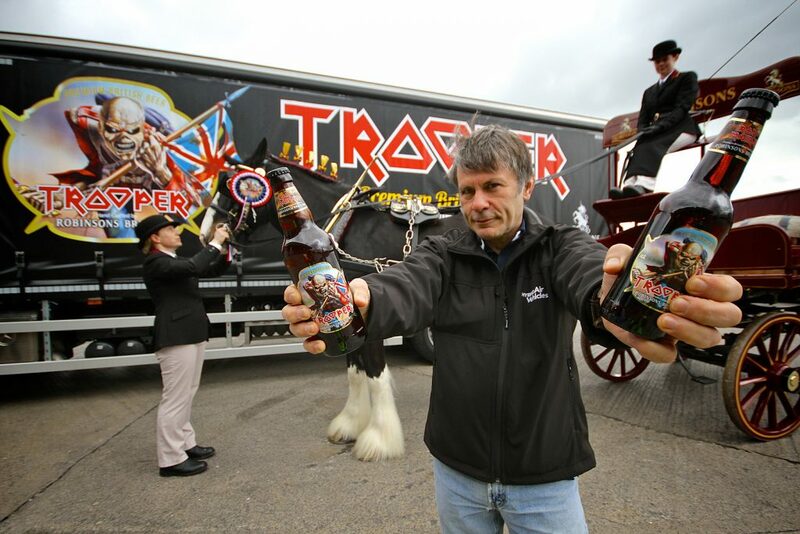 Iron Maiden front man and beer enthusiast Bruce Dickinson presents TROOPER ale. 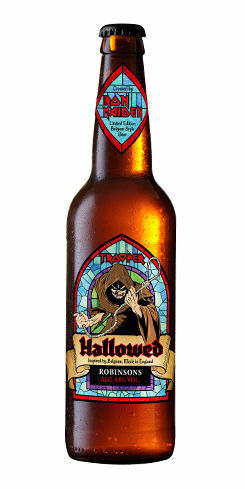 Perhaps the most well-known Robinsons beer of the past decade is its collaboration brew with legendary metal band Iron Maiden that is named after the band’s 1983 single The Trooper. Helmed by the band’s lead singer and noted beer enthusiast Bruce Dickinson, the original Trooper beer is a flavor-packed Strong Bitter style beer that features a subtle blend of Bobek, Goldings and Cascade hops that provides an earthy, citrus and slightly lemony aroma and flavor. Robinsons Iron Maiden Trooper took off quickly as one of the most popular beers in the brewery’s history, as Iron Maiden’s status as heavy metal music pioneers coupled with the excellent liquid behind it made for an instant hit. Multiple spin-off beers have been produced, such as Trooper Hallowed, a Belgian Pale Ale, and Trooper Light Brigade, a Blonde Ale. The third limited-release Trooper beer is a combination of British and Belgian brewing ingredients. Noble hops mingle with spicy and phenolic Belgian yeast to create a singular flavor profile. A hybrid beer inspired by Belgium and brewed in England, Hallowed has the Trooper DNA running through its veins, and is one of Bruce Dickinson’s finest beers yet: “I have always loved Belgian beer but I wanted to make sure that we put a British twist on our brew. I think we have created something unique.” Dickinson said. Billed as “the original craft beer” by Robinsons, Old Tom is a dark British Strong Ale that clocks in at 8.5% ABV. 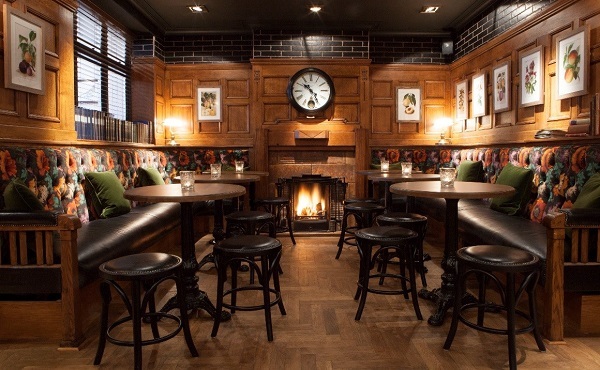 First brewed by Robinsons in 1899, Old Tom has won some of the industry’s most prestigious awards, including World’s Best Ale and Champion Beer of Britain. With elements of dark fruit, a smack of hop bitterness and a port wine-like finish, Old Tom serves as a rich and warming brew and a preeminent example of the British Strong Ale style. 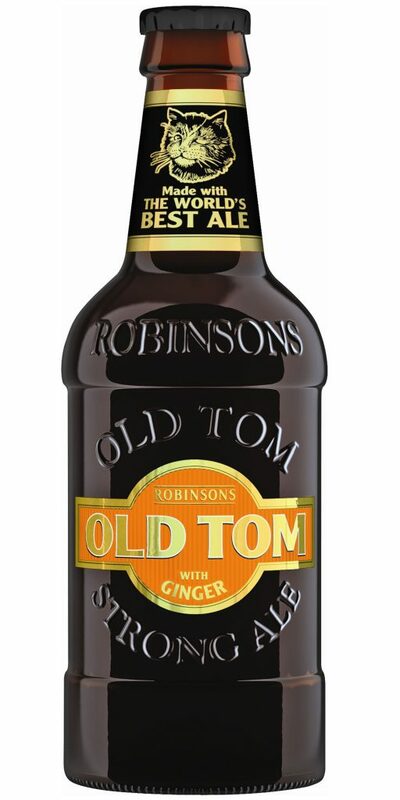 Old Tom is such a popular offering that numerous related beers have been created by Robinsons over the years, including Ginger Tom, Blonde Tom and Chocolate Tom – all with various ingredient infusions and different flavors to provide even more complexity and depth to the Old Tom line of beers. After a recent redesign featuring tomcat packaging, Old Tom and its brethren were bestowed with the title of “World’s Best Design” at the 2017 World Beer Awards. A slightly less powerful version of Robinsons Old Tom, Ginger Tom features a spicy and zesty profile based on the addition of ginger during the brewing process. Robinsons Brewery has recently begun experimenting with more modern styles, such as Pale Ales and India Pales Ales, further underlining their efforts to retain their history and British brewing tradition while also branching out into more modern and experimental brewing endeavors. Visiting the brewery proper is possible through the Robinsons Visitors Centre, which is adjacent to the brewery. Tickets may be purchased in advance through an online portal. Visitors can enjoy the “brewery experience” as well as a visit to see its shire horses – Robinsons has two of the few shire horses remaining in the British brewing industry. With over 300 pubs that serve Robinsons’ offerings, you are likely to find many Robinsons beers available throughout the U.K.